Running a gas station can be a daunting task, but this engineer lends his keys to unlocking a successful franchise. Learn a few strategies on how to effectively manage a franchised gasoline business. Growing up in a family of successful gasoline dealers, Engr. 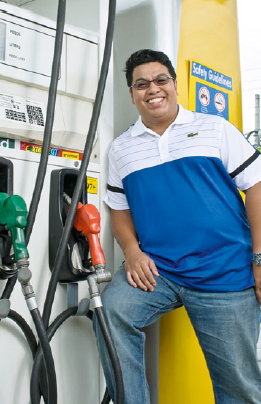 Oscar “Choy” Cammayo Jr. is not new to the fuel industry. 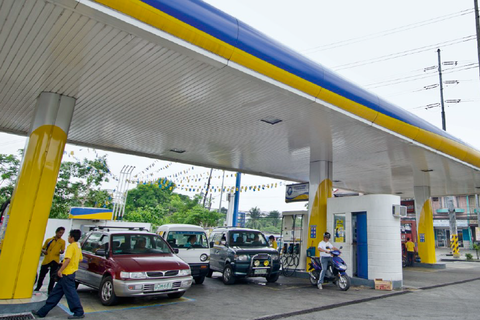 His familiarity with the petroleum business and his innate entrepreneurial spirit encouraged him to jump into franchising a gas station of Seaoil, the country’s leading independent fuel company. Cammayo sees Seaoil as “the Jollibee of the fuel industry” in terms of hospitality to Filipino consumers, and is taking his own steps to reaching the success of the homegrown burger-and-chicken chain. In November 2011, he was named Overall Franchisee of the Year in Seaoil’s first Sinag Awards, an event where the Filipino-owned oil company honored its business partners. With almost five years of withstanding business challenges under his belt, Cammayo shares with ENTREPRENEUR just how he did it. Investing almost P5 million for his franchise, Cammayo took over Seaoil’s Tandang Sora gas station (in Quezon City) in 2007 from a previous dealer. During that time, he also had a foundering local restaurant franchise, and the gas station had to subsidize its losses. Such a setup only allowed him to reach his return on investment with Seaoil in three years. “If there was no local restaurant franchise that I needed to subsidize, I would have reached my ROI in roughly 2 years,” Cammayo says. He also saw the need to understand the gas station’s operations to manage it better. “I started as a pump attendant, then a cashier, then a supervisor,” he shares. “I had no experience in handling personnel before, so I did some research, surveyed other dealers, and observed other stations.” The training he took helped him become a better hands-on manager and evidently paid off with his strong franchise as well. With diligent money management, Cammayo got the drift of how to manage his capital strategically. “Revolving my capital was a challenge especially when I was just starting, so I had to add some key account clients to attain higher volume sales. Also I had to maximize Seaoil’s marketing promotions and strategies,” he recalls. Cammayo makes it a point to separate his business expenses from his personal costs to keep track of the station’s cash flow. He does, however, draw his personal allowance from his business income. Much of Cammayo’s attention to his station’s performance is not only because of his passion for customer service, but also due to Seaoil’s stringent performance audit of its franchises. “Seaoil has standards and we just implement them,” he says. “The company regularly audits us to check if there are deficiencies in our operations.” For instance, the company can point out that the franchisee has a dirty station, or has attendants that are not properly groomed. As much as possible, Cammayo says he also steers his station staff away “from repeating the same mistakes” and makes sure they continue whatever Seaoil points out as a positive practice. One such practice, which won for the engineer the Overall Franchisee of the Year award, is the efficient queuing system of his Tandang Sora station. “In supermarkets, the primary observation that I made is if there’s no attendant in each lane, the customer will be impatient,” explains Cammayo, which led him to create a method to prevent gridlock at the gas pumps, thereby reducing the lead time per customer. This story was originally published in the July 2012 issue of Entrepreneur magazine.